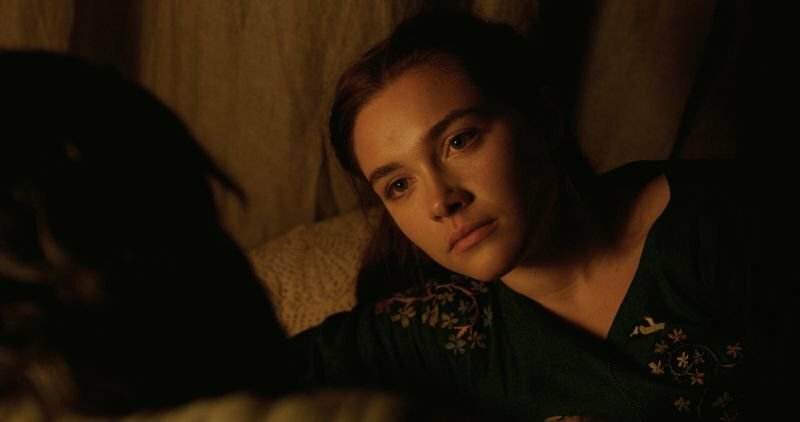 Apparently young Florence Pugh, who plays Elizabeth, Bruce’s second wife by arranged marriage, has all the buzz these days. She stars in the upcoming Little Drummer Girl, which looks fantastic. I am perfectly willing to climb on that hype wagon; she’s quite arresting. 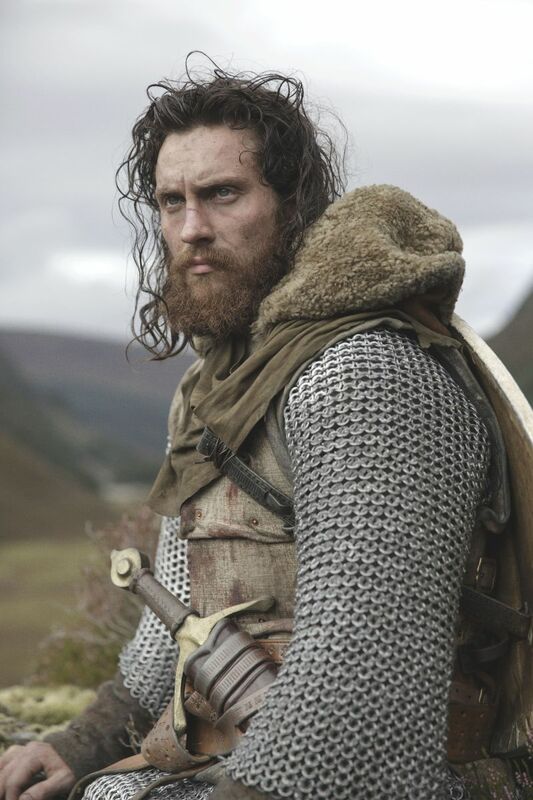 But for me the best thing in Outlaw/King is James Douglas, played with mad relish by Aaron Taylor Johnson. I’ve always loved the story of the wild warrior who gave his sword to Robert in a quest to recover his ancestral lands, confiscated by the English. A guerrilla warrior of the first water, he was every bit the badass that William Wallace was — and ultimately more successful. In 1307, at a time that Bruce’s forces were hiding in the Carrick hills near Turnberry, James Douglas sought permission to launch an attack on his own property of Douglas castle, still at this time in English hands. Accompanied by only two men James made his way to his ancestral estates in Douglasdale. Here he sought out a Thomas Dickson, a loyal tenant who would have known him as a young boy. 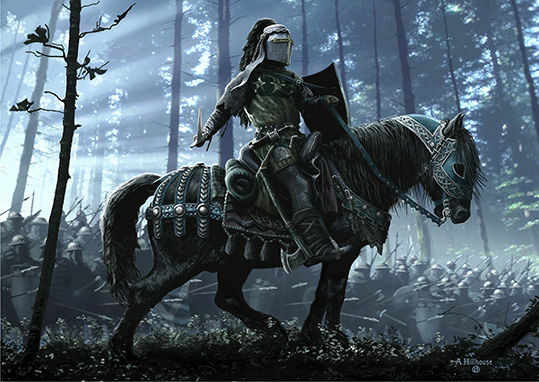 With Dickson’s help he recruited more of the local men in order to ambush the castle garrison. The Douglas Larder. Art by the late Andrew Hillhouse. Brutal man fighting a brutal war. Johnson captures his extreme savagery and dark charisma brilliantly. Douglas died beautiful, cut down while battling an overwhelming force of Moors in Spain. One badass Frontier Partisan, that one. I didn’t mention it in my post, but, yes, the Black Douglas was a highlight. It was really a shame they didn’t give more runtime to the guerilla campaign. Yeah, I want that 20 minutes back! 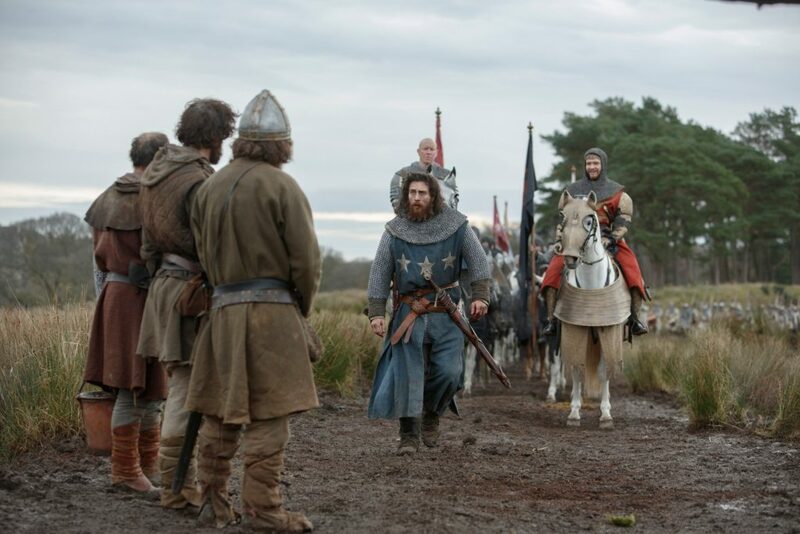 Surely there’s a circle of Frontier Partisan hell for those who fall asleep during “The Outlaw King” and don’t finish it! I do remember liking the relationship portrayed between Mr. and Mrs. The Bruce. 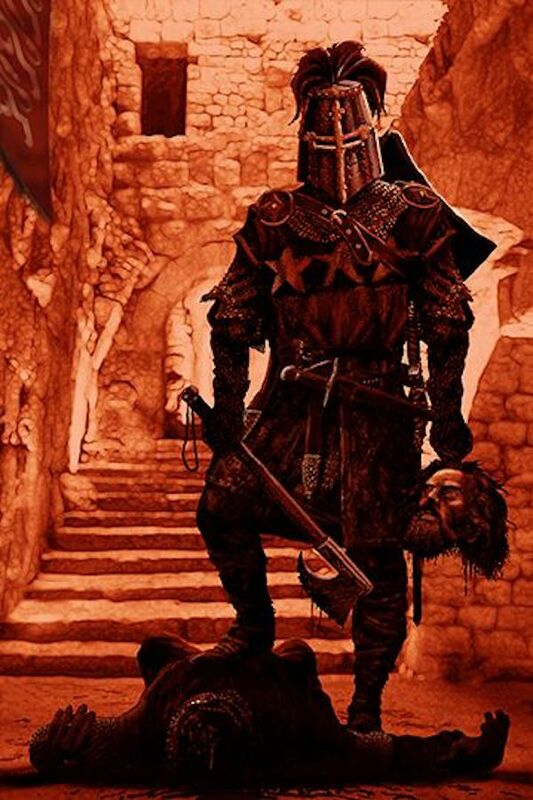 I also loved the way the title shows up on screen: “outlaw/king” Seemed like a deliberate nod to the old concept of “homo sacer,” which uses the double meaning of “sacer” (sacred/accursed) to describe a legal status of being outside the law, applied both to outlaws and kings. Johnson looks cool and all, and it sounds like he did a great job, but would it have been too much to ask for him to dye his hair black? That murder in the church was rough, but he had it Comyn.